Nicholas Mann is a founding member of the Mendelssohn String Quartet, now in its 30th season touring throughout the world. Mr. Mann received his Bachelor’s and Master’s degrees from the Juilliard School where he studied with Dorothy Delay. In 1983, he made his debut at the Metropolitan Museum of Art, and has continued to perform extensively as a recitalist and soloist, including appearances with the Saint Louis Symphony, Seattle Symphony, Washington Symphonia, Juilliard Orchestra and the Charleston Symphony. He has participated in numerous summer festivals, including the Ravinia Festival, Mostly Mozart, Aspen Music Festival, Musicorda, Santa Fe Chamber Music Festival, and Yellow Barn Chamber Music Festival. Mr. Mann has recorded for Musical Heritage, Nonesuch, Bis and Laurel Records. He is currently on the board of the Naumburg Foundation. Mr. Mann has had a long distinguished career teaching, He taught at the University of Delaware (1989-1998), Harvard University (1992-2001). North Carolina School of the Arts (1997-2003), and the Hartt School of Music (2000-2003). 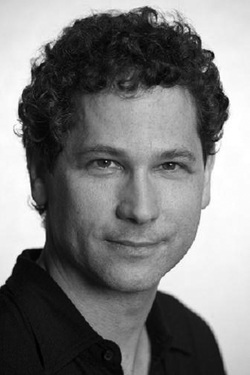 He is currently on the faculty of the Juilliard School and Manhattan School of Music.